There are not many things left I haven’t tried making into a slaw. This one dressed with a Sherry Vinaigrette. This combo would be great accompanying Thanksgiving leftovers. Even for the event itself for some fresh raw crunch. I could imagine adding some roasted chestnuts for a hardier dish. 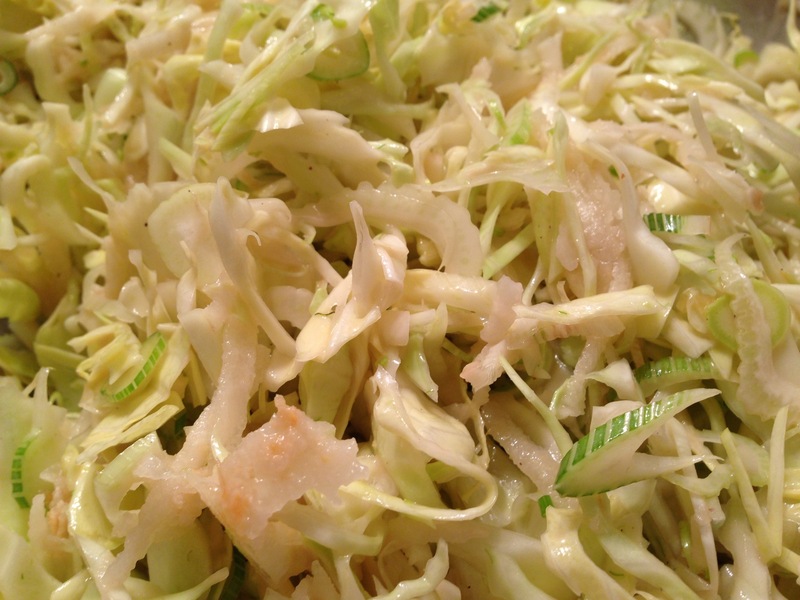 – Slice the fennel and cabbage on a mandolin or very finely with a knife. – peal and grate the pears. Mix up Sherry Vinaigrette in a separate bowl with a whisk until emulsified and then stir all together. Make as much dressing as you like, my amounts are in descending order.